Industry links, downloads and more! Music SA wants to introduce you to the music industry in South Australia and nationwide. Below are some organisations, associations, companies and contacts to get you started. You can also download some very handy resources with helpful tips and tricks. AMIN, the Australian Music Industry Network, is dedicated to providing a national voice for Australian contemporary music. It supports the business objectives of its member organisations (QMusic, Music Victoria, MusicNSW, MusicNT, Music SA, WAM, Music Tasmania, Music ACT) and acts as the voice for member organisations on national issues and the development of national policy. 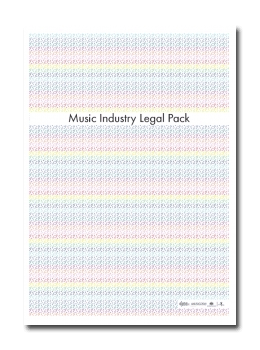 AMIN’s Music Industry Legal Pack is a valuable free resource created to help Australian artists navigate the legal complexities of the music industry. Comprised of a series of fact sheets and checklists, you’ll find information on contracts, band agreements, tax, business registration and more. It was developed in consultation with industry and with assistance from entertainment law firm Simpsons and financial services company Moneypenny, although it is not a substitute for professional legal advice. Download all fact sheets at once in a AMIN Legal Pack zip file. You can also select from the options below (pdfs). Whether you’re presenting live music or want to perform it, building a plan and knowing the process involved is essential to success. Here the Live Music Office have put together resources and advice to suit music in all types of venues. The advice and templates here are broad guides. As with any legal document or agreement, make sure you read and understand each document fully. If you’re not sure, contact the Live Music Office or seek specialised legal advice. Music Matters is a collective of people across the music community, including artists, songwriters, labels, managers, publishers and music stores, who have come together to spread the message the music has value and significance. Starting in the UK in 2010, it is supported widely in Australia and New Zealand. Learn more on the official website. Below you’ll find 3 of their latest fact sheets: Filmmakers Guide – directed toward filmmakers looking to include music in their film; Sampling Guide – helpful if you are a musician or DJ looking to sample music; Musicians Guide – an essential start for musicians looking to protect their music. Music SA has created its own series of handy resources for venues, available free of charge. Do you have a suggestion for a topic you’d like to see here? Get in touch. Music SA has created its own series of handy resources for artists, available free of charge. Watch this space for a growing list of ‘How To’ documents that will help you with booking gigs, approaching the media, and more. Do you have a suggestion for a topic you’d like to see here? Get in touch.